An American healthcare worker who tested positive for Ebola in Sierra Leone is being flown by charter plane to the National Institutes of Health for treatment, according to the agency. 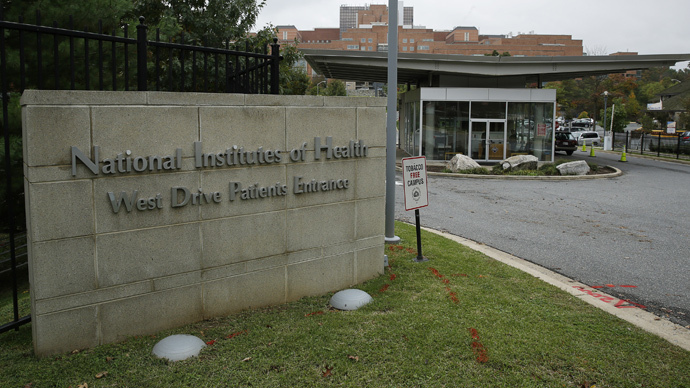 The healthcare worker, who remains unidentified, will be kept in isolation and treated at the National Institutes of Health’s high-level containment clinic, which has previously treated Ebola patients. The previous patient fully recovered from the disease. A total of 10 people have been treated for Ebola in the US since the outbreak began in early 2014. The last person to be treated for Ebola in the United States arrived for treatment in November. More than 10,000 people have died from Ebola, nearly all of whom lived in Sierra Leone, Liberia or Guinea, according to the most recent data from the World Health Organization (WHO). Fifteen other Ebola deaths also occurred in Mali, Nigeria and the United States. A total of 24,000 people have been infected with Ebola, with more than 11,000 cases reported in Sierra Leone alone, the most of any country. The latest Ebola outbreak was first detected in March 2014 in Guinea. Officials initially thought it could be contained as it had been in more than two dozen previous outbreaks in central and eastern Africa. Health officials were slow to respond to the emergency this time, with the World Health Organization only declaring an emergency in August. The poor state of healthcare systems in Liberia, Guinea and Sierra Leone also contributed to the outbreak. A global response effort with soldiers from the US, UK and other nations helped slow the spread of the disease and the number of deaths. The WHO and its partners have started testing two experimental vaccines for those who have been exposed to the virus but haven't developed the disease. "If we [have] a vaccine stockpile for the future, we might be able to prevent (future outbreaks) from turning into what has happened in West Africa," Sebastian Funk, an infectious diseases expert at the London School of Hygiene and Tropical Medicine, told the Associated Press.